We understand that seeking medical treatment outside your home country can be a physically and emotionally exhausting experience and we know that it can be stressful too. 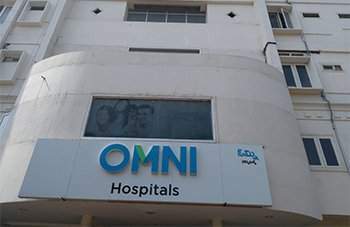 The International Patients Departments at Omni Hospitals locations strive to ensure that you not only feel at home but also go back to your country in good health. 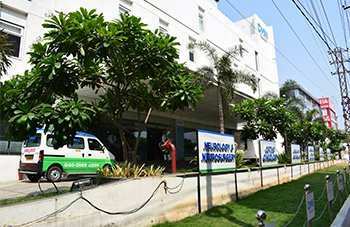 Through this website, we have tried to provide you complete information about our hospitals, doctors and range of services. We’ve also strived to answer your doubts and queries about why you should choose OMNI Hospitals, India as your medical care destination. Do take the time to find out who we are, where we are, what services we provide, and what our hospital facilities are. OMNI Hospitals with its vast pool of internationally qualified doctors ensures that you get the best resource in each medical specialty to offer you the best possible treatment options. Our medical fraternity represents over 55 medical specialties and the Find a Doctor section of this website offers you their profiles. We request you to fill in the request information form so that we can refer you to the appropriate doctor and location. OMNI Hospitals aims to respond to your query within 48 hours. Depending on the nature of the medical help required, the response could include advice on medical procedure along with a quote or if the concerned doctor feels that he/she needs to know more or view recent reports, we will communicate to you accordingly. Find out about the procedure and compare your expectations with what’s achievable by the surgery. Also inquire about follow-up care needed, the time required for recovery, physical therapy, etc. Please note that in most cases the final decisions on your treatment will be made only after the doctor meets you and examines you in person. It is possible that your doctor, upon examining you, may decide you are not fit for surgery or recommends treatment different from what you planned. Records like X-Rays, MRI’s, health histories, photographs, immunisation records, prescriptions, and any other health records relevant to the surgery. Remember to carry all these medical reports and any medicines in your carry-on luggage. Passport and visa: You will need a passport for yourself and your travel companion (if any). Depending on the country you are traveling from, you may or may not need a visa. Credit cards, debit cards and traveler’s checks: Bring some local currency, traveler’s checks and one or two major credit cards and debit cards. The international patients’ division of OMNI Hospitals can help organise your stay in reputed five stars, three-star or comfortable guest rooms prior and post your treatment if required – according to your budget. Visa: If you are traveling on a medical visa, you are required to register at the Foreigners Regional Registration Office within 14 days of your arrival. The prescribed format for the same is available at the International Patients Service Desk. Patients from Pakistan and Bangladesh are required to register their arrival within 24 hours with the nearest Police Station/Commissioner’s Office. Please refer to our Visa/Transit document for instructions. International Insurance: At OMNI Hospitals, we work with certain International Insurance providers and the list is available at the International Patients Service Desk/ Admission counter. We will not be able to process/accept any other foreign insurance coverage for cashless (insurance covered) treatment. The insurance coverage provided by the companies on our list is valid only for in-patient procedures which need more than 48 hours of hospitalisation and is subject to approval from the insurance providers. At the time of admission, a deposit needs to be made at the in-patient billing department, based on your room category. This amount will be refunded once we receive the payment authorisation from your insurance provider. In case the insurance is not approved within 48 hours of admission, you’re requested to settle the hospital bill and claim a reimbursement from your insurance provider. How do I schedule medical appointments with a specialist at OMNI? You or your attendant can contact the International Patients Service Centre of the location of your choice, via telephone, fax, email or letter. Details are available at the Contact us section of this website. Alternatively, you can fill in the form available on the website in the Ask Us section. You must provide all relevant information on your medical condition, including scans, medical history, and current medication etc. If you have been referred to Apollo by a doctor in your home country, please carry the contact details of the doctor. 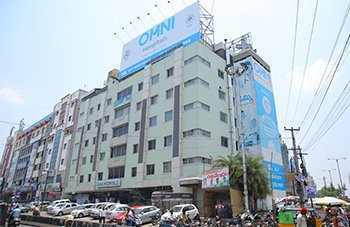 Without a referral from my local doctor, can I seek an appointment with a specialist at OMNI? Yes. 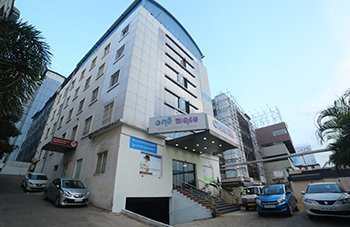 You can contact the OMNI International Patients center of our various OMNI locations directly, with details of your medical history and treatment sought. Our International Patient Service Co-ordinators will recommend and also schedule an appointment, with an appropriate specialist. Definitely. Once you have consulted the appropriate specialist, our Relationship Manager will give you a complete plan on the approximate length of stay at the hospitals and the total cost of the treatment, along with the necessary pre/post-treatment care. It is similar to obtaining a visa for regular travel purpose. However, if your treatment requires frequent visits, you may opt for multiple entry visas for which you need a letter from the hospitals. In my Visa, I can see 'FRRO required within 14 days of arrival'. What does this mean and how should I go about it? FRRO stands for Foreigners Regional Registration Office and this is required if you are traveling for a medical requirement and have a Visa type ‘M’ which means ‘Medical’. 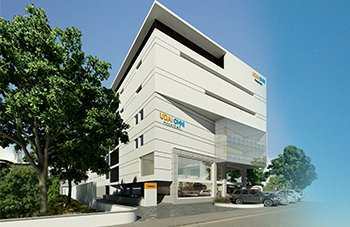 This Visa gives you multiple entries and provides you a longer stay in India. Our Patient Services Co-ordinators will do the processing for your registration and you will just need to follow their instruction on the same. You are required to register at the Foreigners Regional Registration Office within 14 days of your arrival. The prescribed format for the same is also available at the International Patients Service Desk. Will I be received at the airport? Yes indeed. Please contact the International patient’s services department at the location you have chosen please refer to the Contact us section on this website for details, and let them know your travel plans and request for pick up. Who will be responsible for my stay at OMNI and who can be reached for assistance? At OMNI Hospitals, your primary consultants and nursing team will be responsible for all your medical requirements whereas all your non-medical requirements will be met by our International Patients Service Co-ordinators. Who are the personnel who will meet me in my room apart from the doctors and nurse? We do not encourage this practice and if you would like to contribute to our staff’s welfare, you can go to the Employee Benevolence Fund. You can contact our staff at the International Patients department for more details. Dial ‘0’ from the phone provided in your room and dial your country code followed by area code and then the mobile or landline number.Dial ‘9’ to get connected to our operator who would connect you to the destination. Please note that all international calls are charged on pulse rates that vary by country and this will be added to your bill. Yes, certainly. We will do our best to prepare and serve you a variety of choices of food as per your preference. However, all dietary prescriptions are subject to your doctor’s advice and appropriate to your health status. We do not permit food from outside to be brought into the hospital. Smoking and alcohol use is forbidden in the hospital premises. What are the options available for me to pray? Most of our OMNI locations have areas designated for prayer and cater to major religious faiths such as Christianity, Islam, Hinduism, Buddhism etc. We also have counseling and pastoral services. Our International patient’s service departments can guide you on this. We accept all major credit cards like VISA, MASTER CARD, AMEX & CIRRUS and Traveler’s cheque. We also accept payment for In-patient services in the following currencies: USD, CAD, Euro, Pound Sterling, Omani Riyal, UAE Dirham, Kuwait Dinar, Saudi Riyal, Singapore Dollars etc. We also have an online payment gateway on our website for select locations. Your primary consultants will inform the date of your discharge. At the time of discharge, your nurse will detail you on the treatment/surgery that you have had and on the medication that you have to take, follow-up requirements if any and finally will hand over all your medical investigation reports/X-ray/MRI/other scan images and medicines. You can write to our International Patients Division on your progress and they will help you keep in touch with your doctors at OMNI. Do mention your hospital registration number in all your communications with the hospital.